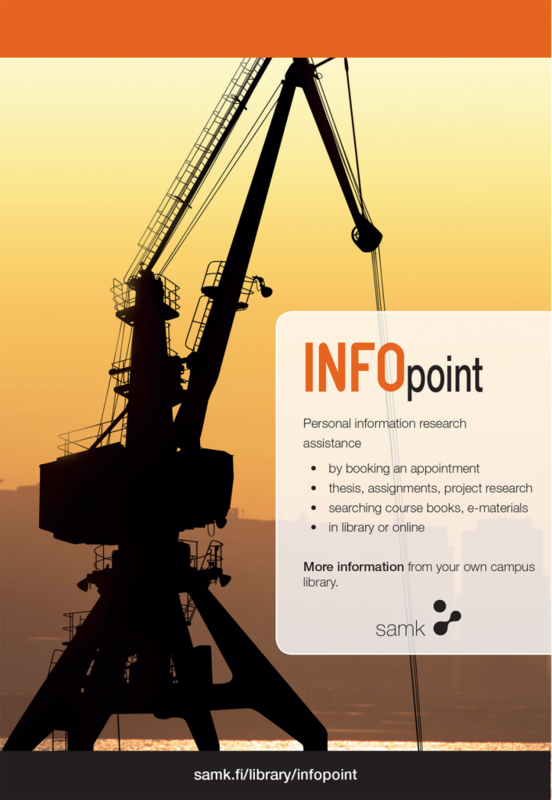 INFOpoint, our "book a librarian" service is for SAMK students who need for example information for their theses. INFOpoint offers personal assistance for students through appointments. Students learn to use databases and to retrieve information. Information specialists guide small groups in searching information for an assignment, in narrowing the search and in considering different search terms. The students use databases and electronic and printed material as sources of information. Guidance is given in the library or classroom. Information specialists work with the teachers in planning the assignments and schedules. Information specialists give guidance also online via the SAMK HILL platform. The guidance sessions are booked individually. Please contact your campus library or infotelakka@samk.fi. How was your INFOpoint session? Please give feedback.